When Liverpool were drawn out of the hat for the quarter-finals of the Champions League, most Liverpool fans were decidedly happy. However, that’s not to say Tuesday’s opponents FC Porto will be pushovers. Liverpool know that an emphatic victory over the Dragões at Anfield on Tuesday night could all but seal a place in the semi-finals of Europe’s elite competition and set-up an exciting tie against either Manchester United or FC Barcelona. Last season, Jürgen Klopp’s side dispatched the Primeira Liga high-flyers in the first leg of the last-16 at the Estádio do Dragão, with a sublime Sadio Mané hat-trick, and goals from Mohamed Salah and Roberto Firmino, capping off a memorable night in Portugal. The Portuguese champions head to Merseyside in high spirits though. On the back of four previous league victories and most recently their 2-0 victory over neighbours Boavista, they sit joint top with Benfica. Sérgio Conceição’s side believe they have what it takes to beat Liverpool over both legs. FC Porto proved they are a force amongst Europe’s elite, defeating AS Roma in the last round of the competition, which resulted in the sacking of Eusebio di Francesco. That said, it’s first time the Portuguese club have reached the quarter-finals since 2014/15. A number of players have played their part in helping Conceição’s team on the road to Madrid. 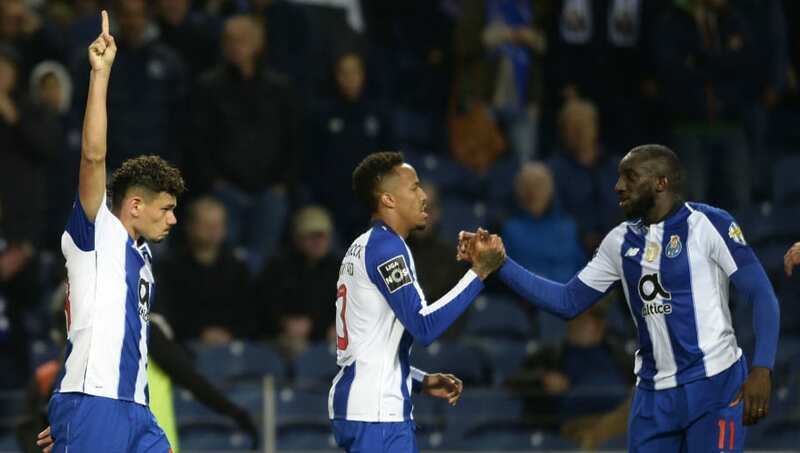 Take defender Éder Militão for example. The 21-year-old, ​who will join R​eal Madrid in the summer for a reported €50million, has formed a formidable partnership with 28-year-old Felipe. Militão will have the tough task of keeping Mane, Salah and Firmino at bay with the trio scoring eight goals between them so far in the competition. At 6’1″, he has popped up with four goals and three assists in all competitions, including a powerful header in the 3-1 victory against Schalke back in the group stages of this season’s competition. His passing is excellent with an average 80% success rate. His pace and strength is also something to watch as he averages four aerial duels per game, and likes the physicality, so this game should be well suited to his strengths. FC Porto travel to Anfield with top scorer Francisco Soares, who made the move to the Portuguese side from minnows Vitória Guimarães last season. The player Known as “Tiquinho” by his mother for being too skinny as a child, has been in prolific form netting 13 goals in the league, whilst establishing himself as one of the most prolific strikers in Europe. Soares comes from the same poor Brazilian region as Hulk, a player who he has been likened to, and who starred for FC Porto between 2008-2012. He most recently netted in the 2-0 victory over Boavista, whilst also netting a brace in his side’s 3-2 away victory over Braga a couple of weeks ago, so he is clearly in goal-scoring form. Strong, powerful, bullish, there is no doubt he will be attracting a number of Premier League suitors, but the 28-year-old will be relishing the opportunity to face Liverpool at Anfield on Tuesday night, and the Reds' defence will need to be on top of their game to keep him at bay. Despite playing just twice in this season’s competition he has scored and contributed to one assist. His latest strike coming in the victory over AS Roma. Soares' opener was FC Porto's 250th goal in the Champions League, making them the eighth team in the competition to reach the milestone. FC Porto have netted 19 goals compared to Liverpool’s 12 in the Champions League this season, and they should be respected when they rock up at Anfield. Luckily for Liverpool, Brazilian left-back Alex Telles, who has previously been linked with a move away to the Premier League and scored the decisive spot-kick to help knock out AS Roma in the last round, is a doubt due to a slight injury picked up against SC Braga in the league. Mexican Jesús Corona, 26, who has netted three goals and two assists in the competition this season, will provide attacking threat down the right and will look to cause Andrew Robertson problems. Mali international Moussa Marega has six goals to his name, netting against Galatasaray, Lokomotiv Moscow, Schalke and most recently Roma. The forward, who can also play as an attacking midfielder, is two behind Robert Lewandowski and Lionel Messi in the top scorers rankings as well as having a pass success rate of 70.6%. Marega became just the second African player to score in six consecutive Champions League appearances, after Marouane Chamakh in October 2010. Yacine Brahimi is another player who has been in impressive form this season. The Algerian international, whose contract expires in the summer, has been a mainstay amongst the FC Porto midfield since joining the club in 2014. Now 28 years old, he has netted on eight occasions in the Portuguese domestic league, whilst featuring in five of FC Porto's Champions League games as they qualified top of Group D.
Given his attacking strength, he likes to provide through-balls to the strikers, but also his fluidity means he is able to get amongst the backline of opposing defences as well. With an 80.1% pass success rate and two assists, he is a player who could cause the Reds problems. Brahimi is available on a free transfer in the summer, and both Arsenal and Manchester United are said to be waiting in the wings having previously been keen on him, ​according to reports. The Reds should not take the task of defeating FC Porto lightly, because despite them being on paper the easiest possible rivals, they are still a side to be reckoned with.